This delightful Jura shaped mug from Dunoon features a design by artist Caroline Bessey. 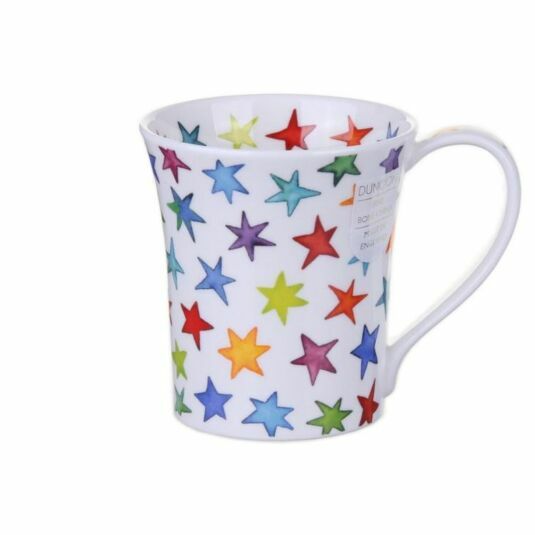 The vibrant colours of the large stars on this mug are sure to brighten up your morning. Covering the entire outside of the mug, the handle, and the inner rim they will bring a touch of colour to any kitchen. 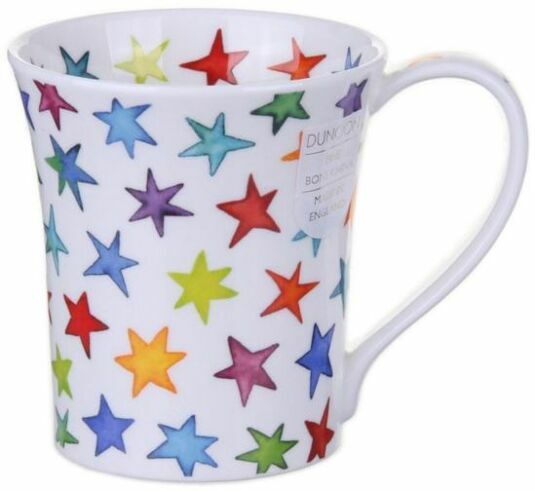 Perfect if you are looking to add a splash of colur to your Dunoon collection.